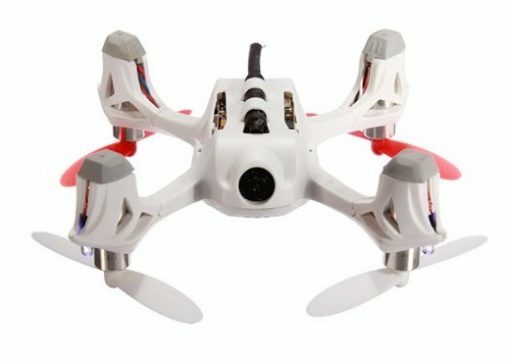 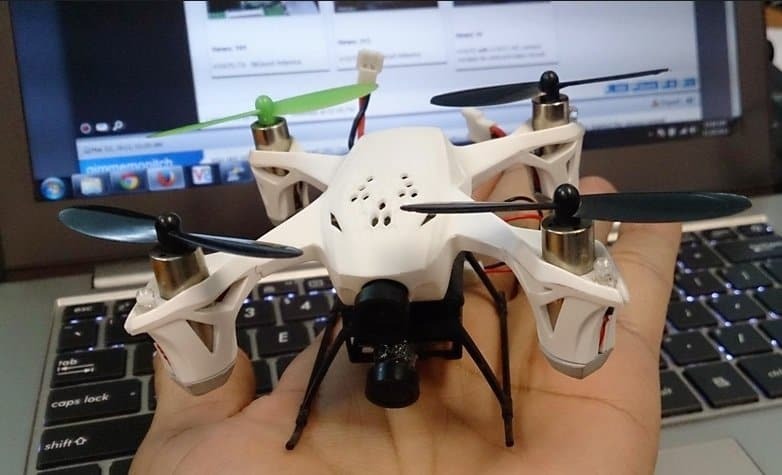 The Hubsan H107D X4 Quadcopter is a surprisingly small RC quadcopter with an integrated first person view (FPV) camera. 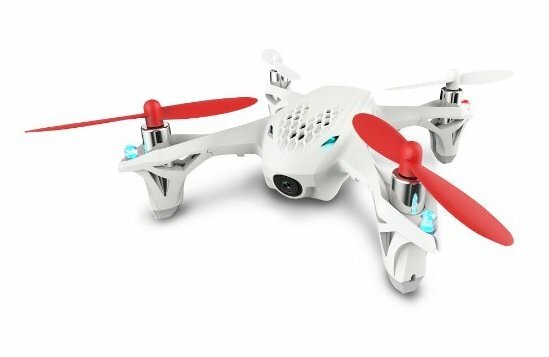 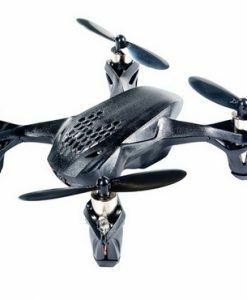 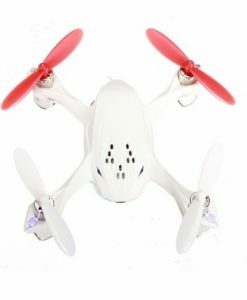 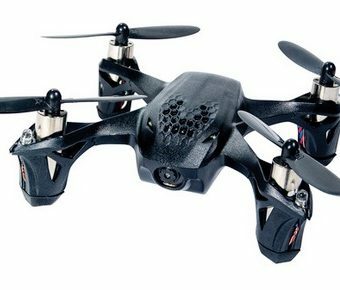 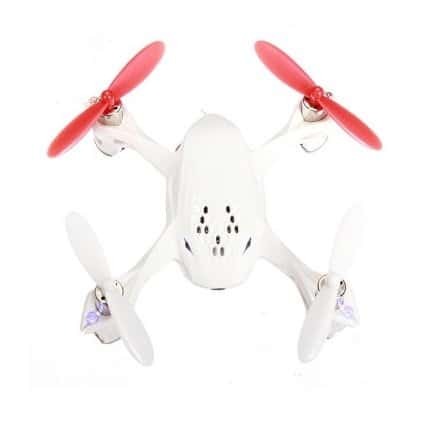 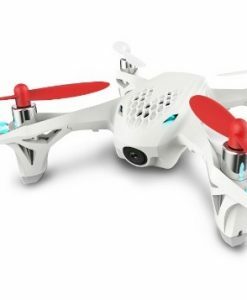 It packs an amazing amount of sophistication and features into an affordable starter drone that anyone can pilot. 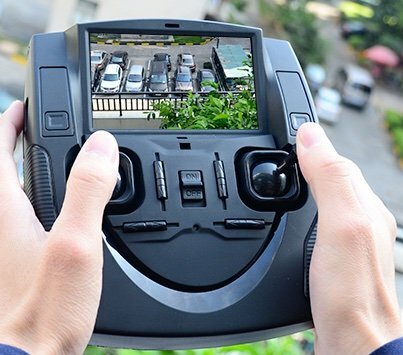 The fixed-mount onboard camera faces forward and captures 720 x 240 resolution SD video and 0.3 MP still photos. 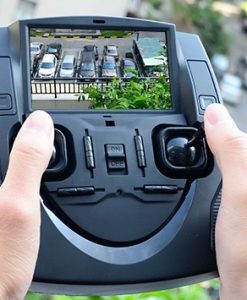 The camera transmits its video stream wirelessly to the controller via 5.8 GHz, and lets you to record video and photos onto a MicroSD memory card (up to 16GB) in a slot built into the transmitter. 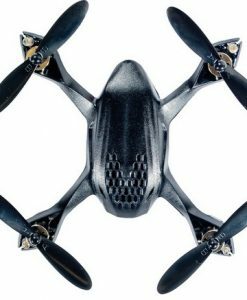 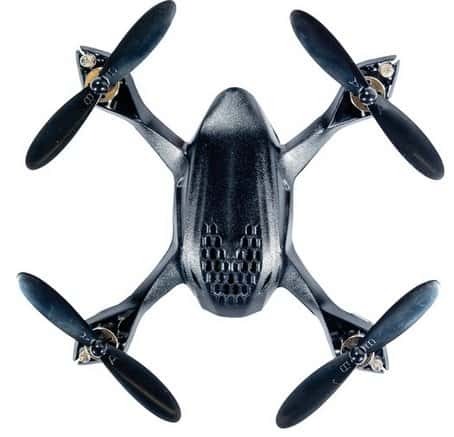 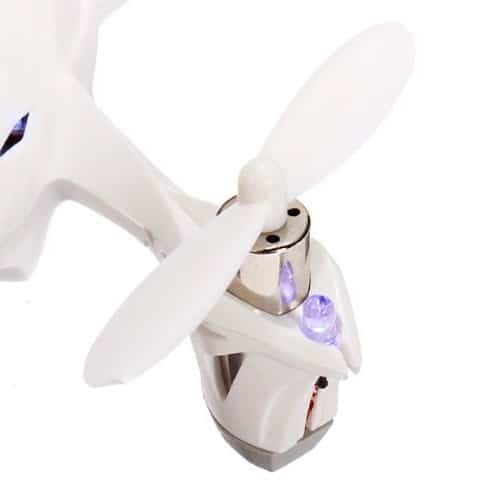 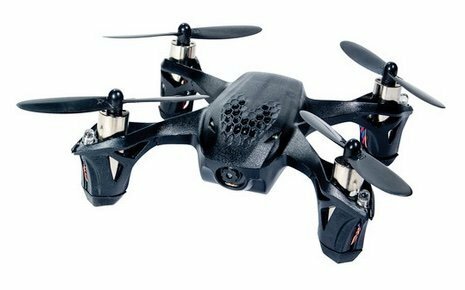 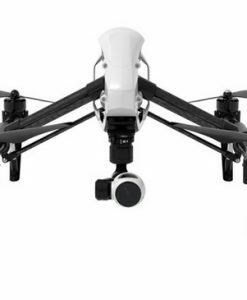 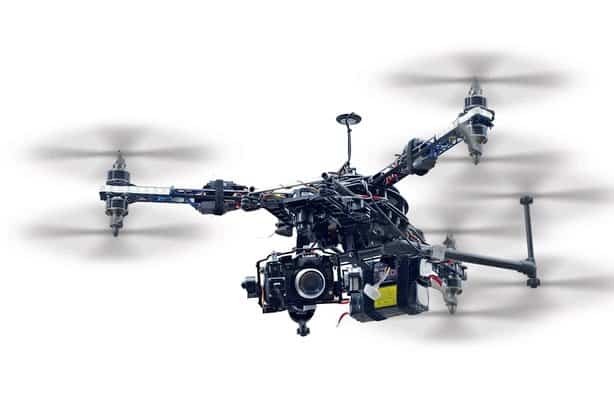 The Hubsan X4 uses a 4-channel, 2.4 GHz transmitter that provides a flight range of up to 300 feet. 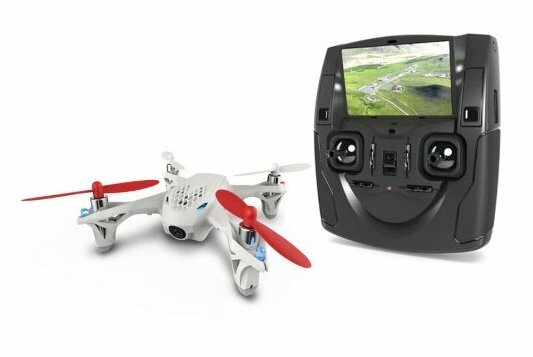 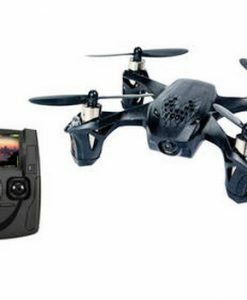 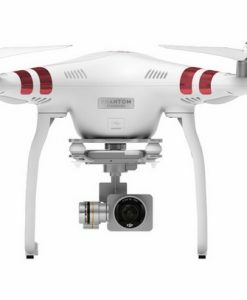 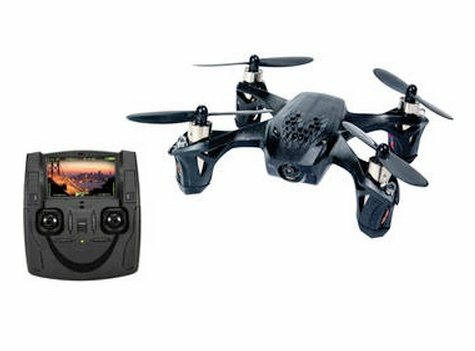 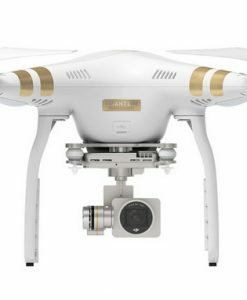 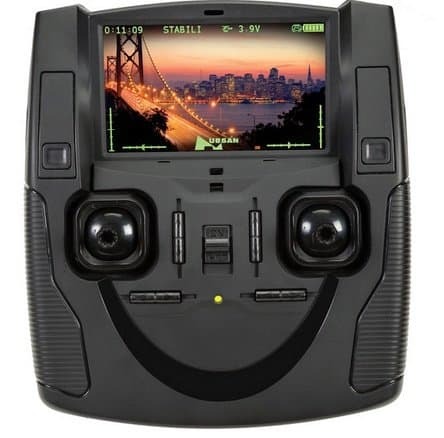 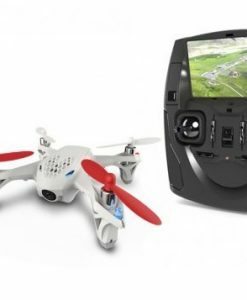 The controller includes a 4.3″ LCD screen that lets you to monitor real-time FPV video from the camera and also see flight telemetry data, to keep you on top of what is happening in the air. 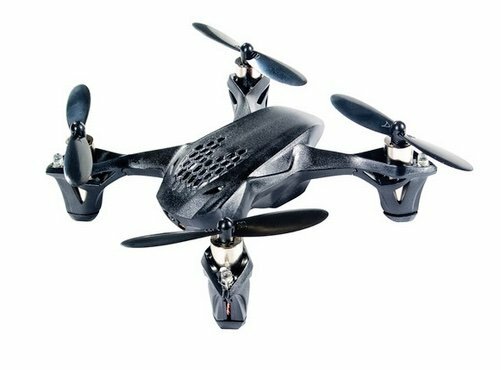 Due to its small propeller size and overall light weight, the Hubsan X4 resists damage well, but it is also sensitive to wind and weather. 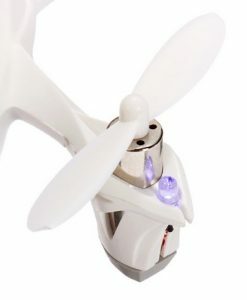 For best results outdoors, operate in light wind conditions or near ground level where wind speed is minimal. 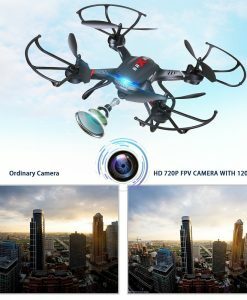 Best entry-level cam drone on the market. 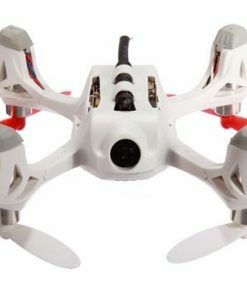 Small size (4 inch diameter) and light weight make it hard to damage.